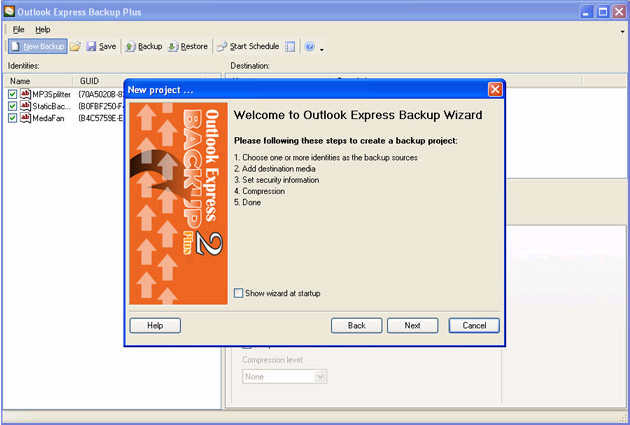 Outlook Express Backup Plus is most populer backup software to create backup copies of Outlook Express email database. Warning: Viruses, worms, trojans, power surges, hard drive failure and human error are just some of the many ways that you can lose your important email messages, Outlook Express Backup Plus will helps you save your email data automatically. AWbackup - Create backup copies automatically whenever you want with this Backup Solution Program ! Backupper Standard - provides excellent efficiency in small networks, office and home computers !